Tooth Fairy set. This is a painted topped, natural wooden tooth fairy chest with a brass clasp. Available in pink and blue. Tooth fairy printed on the lid and there are white star outlines on the base. Perfect to put a tooth in & have treasure magically appear in the morning! 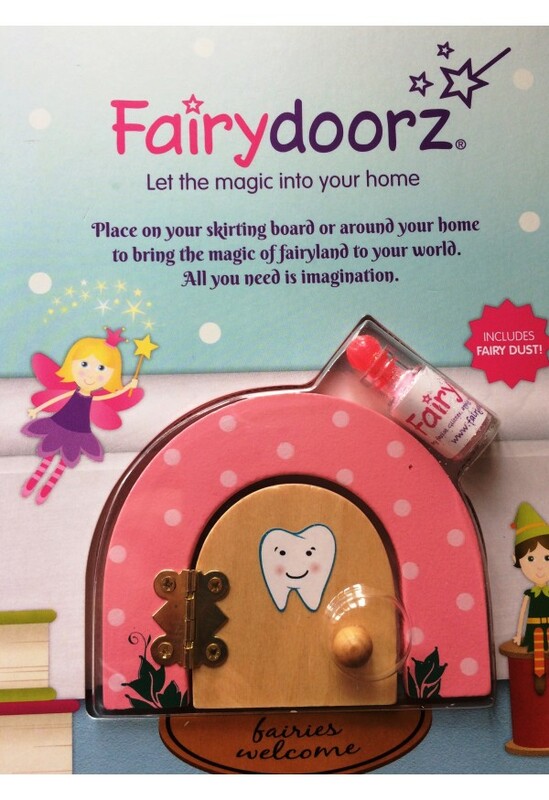 They can either store teeth as keepsakes, store notes and any gifts from the fairy. 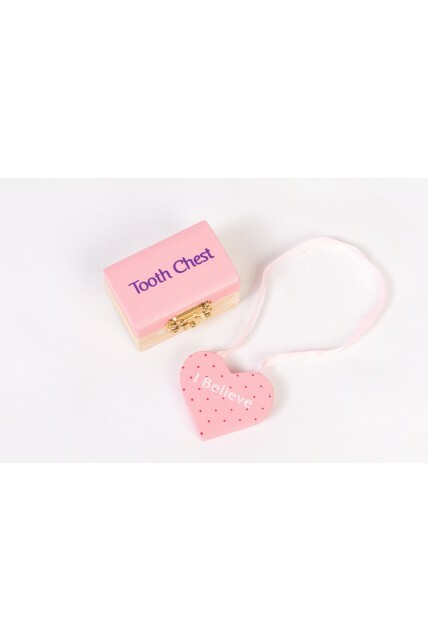 Also included is the matching ribbon tied wooden heart hanger with reversible 'I Believe' & 'Tooth Fairy Please STOP here' sign for your childs door. These are decorations and not toys. Tooth Chests measure approx 6cm in length & 4cm in height. Door hangers Approx 5 cm & 1 cm thick.